One of the top businessmen in China, Zhu Xingliang currently serves as the director of the Suzhou based Construction and Interior Decoration Company ‘Gold Mantis Construction Decoration’ which is also the largest interior decoration company in China. With an estimated asset of $3.6 billion as on May 2015, Forbes declared him on 557th position on the World Billionaire List in 2015. Zhu Xingliang was born in 1959 in Suzhou, China. His zeal for engineering led him into opting for Civil Engineering as a specialization for his major. He is an alumnus of the Suzhou University of Science and Technology from where he graduated in 1987. Just like you can make your dreams come true when you get that one thing you need to write your success story, Zhuleveraged his passion and appetite for knowledge in the civil engineering and real estate vertical to become successful. Zhu served as the Technology Chief and Deputy General Manager of the Wuxian Construction Decoration and Landscaping Engineering Company. He currently serves as the director of the Suzhou based Gold Mantis Construction Decoration Company specializing in construction and decoration of office buildings, grand hotels, hospitals etc. He also happens to be the biggest shareholder in this company. Over the last few years, the value of shares of Gold Mantis has increased significantly which led to rise in Zhu’s net worth. Zhu Xingliang’s Company is listed in the Shenzhen Stock Exchange. Gold Mantis has worked on some of very grand and ambitious projects in China such as Beijing’s National Grand Theatre, Bird’s Nest National Stadium in Beijing, National Museum, and Phoenix International Media Center etc.It has to its credit decoration of several grand intercontinental hotels in China like Marriott, Hilton, Sheraton, Hyatt etc. to name a few. 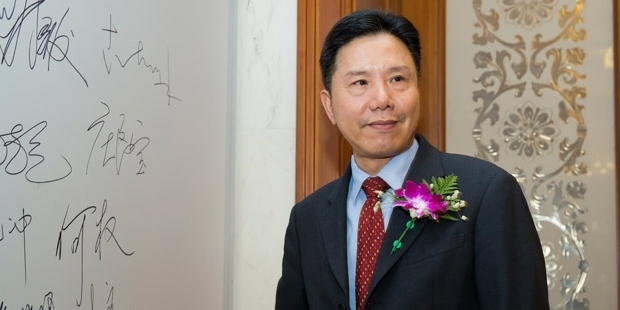 Zhu Xingliang’s management skills have awarded him distinguished position in many organizations of repute. He himself directed the entire project for the main venue of the 2008 Olympic Games – The Bird’s Nest to ensure quality, safety and progress. He was repeatedly elected as the Vice President of 5th, 6th and 7th council meeting of the China Decoration Association. 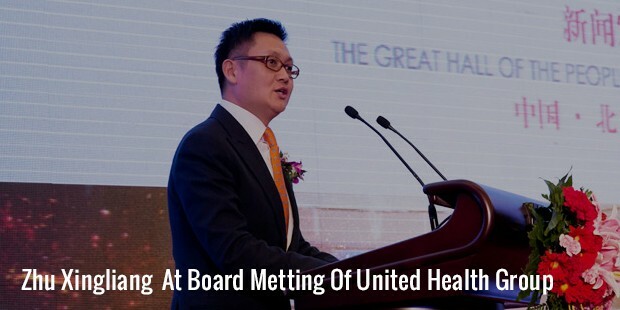 In 2013, Gold Mantis won the 8th “Golden Round Table Award” for its best board of directors. Under the direction of Zhu, the company has expanded its horizon to professional decoration and is engaged in curtain wall, landscape, artware, electromechanical equipment installation, intelligent systems and advertising as a whole. The company has been awarded as rank 1 in “TopHundred Building Decoration Enterprise” in China in successive 11 years. It is also the first company working in this area to be listed in the stock market. At present, the company stands tall in terms of highest market value in Suzhou and was a major taxpayer among the private companies. Due to the highly efficient management team, by the end of 2012, Gold Mantis was the recipient of 46 China Excellent Construction – Luban Award, 141 China National Building Construction Decoration Award becoming the most awarded firm in the decoration industry. Zhu Xingliang is a good learner with good appetite for knowledge. He believes that to attain perfection, one should constantly put effort to sharpen skills and talent. He likes to keep himself updated with the recent developments around the world. With this kind of leadership, Gold Mantis is destined to reach the sky. A family man, Zhu Xiangliang lives with his wife and child in Suzhou, China.